One New Aftermarket Replacement Red Canopy Made to Fit Most Case and International Harvester Tractor Models : Case Tractor: 1030, 1030CK, 1050, 1055, 107, 1070, 1075, 1090, 1120, 117, 1170, 1175, 1190, 1194, 1210, 1212, 1255, 1270, 1275, 1290, 1294, 1370, 1390, 1394, 1410, 1412, 1470, 1490, 1494, 1594, 1690, 1694, 1896, 200, 200B, 2090, 2094, 2096, 210B, 211B, 220, 2290, 2294, 2390, 2394, 2470, 2590, 2594, 2670, 2870, 300, 300B, 301, 310, 310B, 311, 311B, 320, 3294, 330, 3394, 350, 350B, 350D, 351, 3594, 3800, 380B, 385, 395, 400, 400B, 410B, 420, 420B, 420BD, 4210, 4230, 425, 430, 431, 440, 441, 444, 4490, 4494, 450, 4568, 4586, 4690, 4694, 470, 4786, 484, 485, 4890, 4894, 4990, 4994, 500, 500B, 530, 530CK, 570, 574, 580, 584, 585, 595, 600B, 610B, 611B, 630, 650, 660, 684, 685, 695, 700, 700B, 730, 740, 770, 780, 784, 800, 800B, 830, 830CK, 840, 870, 884, 885, 895, 900, 900B, 930, 930CK, 940, 970, 990, 995, 996, A, A6, B, C, CC, CI, CO, D, DC, DC3, DC4, DCS, DI, DITM, DO, DS, DV, L, LA, LAI, LT, R, RC, RI, S, SC, SI, SO, V, VA, VAC, VAE, VAH, VAI, VAO, VAS, VC, VI, VO Case/IH Tractor: 1046, 1056, 1056XL, 1120, 1130, 1255, 1255XL, 1394, 1455, 1455XL, 1494, 1594, 1640, 1660, 1666, 1680, 1896, 2022, 2096, 2120, 2130, 2144, 2166, 2188, 234, 235, 2388, 244, 255, 265, 275, 280 Steiger, 31 Farmall, 3210, 3220, 3230, 3294, 330 Steiger, 335 Steiger, 3394, 3400, 3434, 35 Farmall, 3594, 385, 385 Steiger, 395, 40 Farmall, 4210, 4220, 4230, 4240, 430 Steiger, 433, 435 Steiger, 440, 475, 480 Steiger, 485, 485 Steiger, 485 XL, 495, 495 XL, 5120, 5130, 5140, 5150, 5220, 5220 Maxxum, 5220 Maxxum, 5230, 5230 Maxxum, 5240, 5240 Maxxum, 5250, 5250 Maxxum, 530 Steiger, 533, 540, 55 Farmall, 584, 585, 585 XL, 595, 595 XL, 60 Farmall, 633, 640, 644, 685, 685 XL, 690, 695, 695 XL, 7110, 7110 MAGNUM, 7120, 7120 MAGNUM, 7130, 7130 MAGNUM, 7140, 7140 MAGNUM, 7150, 7150 MAGNUM, 7190, 7193, 7194, 7210, 7210 MAGNUM, 7220, 7220 Magnum, 7230, 7230 Magnum, 7240, 7240 Magnum, 7250, 7250 Magnum, 7250 Magnum, 730, 733, 740, 743, 743XL, 744, 745, 745S, 745XL, 785, 785 XL, 795, 795 XL, 830, 833, 840, 844, 844S, 844XL, 845, 845XL, 856, 856XL, 884, 885, 885 XL, 8910, 8920, 8930, 8940, 895, 895 XL, 8950, 9110, 9120, 9130, 9150, 9170, 9180, 9190, 9210, 9230, 9240, 9250, 9260, 9270, 9280, 9310, 9310 STEIGER, 9330, 9330 STEIGER, 9350, 9370, 9370 STEIGER, 9380, 9390, 940, 946, 955, 955XL, 956, 956XL, 985, 995, 995 XL, C100, C42, C48, C50, C55, C60, C64, C70, C80, C90, CS100, CS110, CS120, CS130, CS150, CS48, CS52, CS58, CS63, CS68, CS75, CS78, CS86, CS94, CVX1135, CVX1145, CVX1155, CVX1170, CVX1190, CVX120, CVX130, CVX150, CVX170, CX100, CX105, CX50, CX60, CX60M, CX70, CX75, CX80, CX85, CX90, CX95, D25, D29, D33, D35, D40, D45, DX18E, DX21, DX22E, DX23, DX24, DX24E, DX25, DX25E, DX26, DX29, DX31, DX33, DX34, DX35, DX40, DX45, DX48, DX55, DX60, JX100U, JX1060C, JX1070C, JX1070U, JX1075C, JX1080U, JX1090U, JX1095C, JX1100U, JX55, JX60, JX65, JX70, JX70U, JX75, JX80, JX80U, JX85, JX90, JX90U, JX95, Magnum 275, Magnum 305, Magnum 335, Maxxum 100, Maxxum 110, Maxxum 115, Maxxum 120, Maxxum 125, Maxxum 130, Maxxum 140, MC100, MC105, MC115, MC120, MC135, MC80, MC90, MC95, MTX110, MTX120, MTX125, MTX135, MTX140, MTX155, MTX165, MTX175, MTX185, MTX200, MX100, MX100C, MX110, MX120, MX135, MX150, MX170, MX180, MX200, MX210, MX215, MX220, MX230, MX240, MX245, MX255, MX270, MX275, MX285, MX305, MX335, MX80C, MX90C, MXM120, MXM130, MXM135, MXM140, MXM150, MXM155, MXM165, MXM175, MXM180, MXM190, MXU100, MXU110, MXU115, MXU125, MXU130, MXU135, Puma 115, Puma 125, Puma 140, Puma 155, STX275, STX280, STX325, STX330, STX375, STX380, STX425, STX430, STX440, STX450, STX480, STX500, STX530, TD7E, TD8E International Harvester Tractor: 100, 1026, 104, 1056, 1066, 1086, 1206, 1206 FARMALL, 1256, 1275, 130, 140, 1440, 1456, 1456D, 1460, 1466, 1468, 1480, 1486, 1566, 1568, 1586, 200, 230, 234, 238, 240, 2400, 2404, 244, 245, 2500, 2504, 254, 2544, 255, 2606, 265, 2656, 2706, 274, 2756, 276, 2806, 2826, 2856, 300, 300 FARMALL, 300 UTLILITY, 3088, 3188, 3288, 330, 3388, 340, 3414 LOADER, 3488, 350, 354, 3588, 3616, 364, 3688, 3788, 3800, 384, 385, 3850, 395, 396, 400, 400 FARMALL, 404, 4100, 4156, 4166, 4168, 4186, 4210, 4230, 424, 4240, 4300, 4324, 434, 4366, 4386, 444, 450, 454, 4568, 4586, 460, 464, 474, 4786, 484, 485, 495, 504, 5088, 5186, 5288, 544, 544 FARMALL, 5488, 554, 560, 568, 574, 584, 585, 594, 595, 600, 606, 624, 624A, 634, 6388, 64, 644, 6488, 650, 654, 654A, 656, 6588, 660, 664, 666, 6688, 674, 6788, 684, 685, 686, 695, 706, 706 FARMALL, 724, 724A, 7288, 733, 733A, 743, 743S, 743XL, 744, 745, 745S, 745XL, 7488, 756, 756 FARMALL, 766, 784, 786, 795, 8000, 806, 806 FARMALL, 824, 824A, 826, 844, 844S, 844XL, 845S, 846, 854, 856, 8825, 8825HP, 884, 8840, 885, 8850, 886, 895, 966, 986, 995, A, A1, AV, AV1, B, B250, B275, B276, B414, B450, BN, BV, C, Cub, Cub 154 Lo-Boy, Cub 184, Cub 184 Lo-Boy, Cub 185, Cub 185 Lo-Boy, Cub Cadet 100, Cub Cadet 123, Cub Cadet 124, Cub Cadet 125, Cub Cadet 126, Cub Cadet 127, Cub Cadet 128, Cub Cadet 70, Cub Cadet 71, Cub Cadet 72, Cub Cadet 73, Cub Cadet 86, CUB FARMALL, Cub Lo-Boy, F12, F14, F20, F30, H, H-FARMALL, HV, Hydro 100, Hydro 186, Hydro 3488, Hydro 70, Hydro 84, Hydro 86, I12, I14, I20, I30, I4, I6, I9, ID6, ID9, IU6, M, M-FARMALL, MD, MDV, MTA, MTAD, MV, O12, O14, O4, O6, ODS6, OS4, OS6, Super A, Super A-1, Super A1, Super AV, Super AV1, Super C, Super H, Super HV, Super M, SUPER M-TA FARMALL, Super MD, Super MDTA, Super MDV, Super MTA, Super MV, Super W4, Super W6, Super W6TA, Super W9, Super WD6, Super WD9, Super WDR9, W12, W14, W30, W4, W400, W450, W6, W6TA, W9, WD6, WD6TA, WD9, WDR6, WDR9, WR9, WR9S Case Industrial Tractor: 320, 380CK, 430CK, 435LCK, 480, 480B, 480CK, 570LXT, 580L, LCK 530 International Harvester Industrial Tractor: 2076, 21026, 21206, 21256, 21456, 2300, 2300A, 238, 2400A, 2400B, 2402, 2404, 240A, 2424, 2444, 248, 2500A, 2500B, 2505B, 2510B, 2514B, 2544, 2565, 2566, 258, 2606, 2608, 2656, 268, 2706, 2756, 2806, 2826, 2856, 288, 3414, 3444, 3500A, 3514, 3516, 3616 Tech Info. Universal Fender Mounting Brackets Included. Replaces Part Numbers: RFC100R. Our processing system is automated. Thank you for your continued patronage. We carry parts for Engines, Transmissions, Front & Rear Axles, Hitch & Drawbars, Undercarriages, Final Drives, Seats, Bearings, Cups, Cones, Seals, Discs, Couplers, Gears, Brakes, Pressure Plates, Pilot & Throw Out Bearings, Ring & Pinions, Gaskets, Decals and MORE for most high wear items. We also carry replacement parts for the Boom Cylinder (Seal Kits, Tubes, Glands, Pistons, Rods). 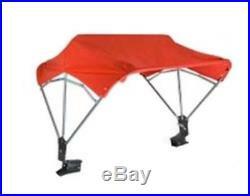 The item “RFC100R Universal Red Canopy For Most Case And International Harvester Tractors” is in sale since Wednesday, December 28, 2016. This item is in the category “Business & Industrial\Heavy Equipment Parts & Accs\Construction Equip Parts”. The seller is “reliableaftermarketpartsinc” and is located in Williamston, Michigan. This item can be shipped worldwide.